My thanks to the People’s Commissar for Political Influences Meme Enlightenment who tagged us to offer up our top five political influences. I don’t speak for the other writers – each of whom should definitely post theirs separately – but here are mine. I first came across Aneurin Bevan whilst randomly looking over some books my grandfather owned – a Reader’s Digest history of the twentieth century or something to that effect. At the time, I was a right wing, pro-Catholic Irish nationalist who opposed abortion and wanted the “scummy Brits” out of Northern Ireland. Learning about the founding of the welfare state changed that drastically. Free education, free transport, free health care…Bevan was my gateway to the Labour movement and I will forever rank him as amongst my heroes, regardless of his personal foibles. The figures of Trotsky and Lenin still cast long shadows over most left wing movements. Whether it is to make comparisons between Chavez and Lenin, or to admit, as many Labour careerists do, that they’d rather be Tories than Trotskyites, Lenin and Trotsky deserve their place here. Political Influences Meme In discussing whether another world was possible, few people don’t find their minds drawn to a consideration of the Russian Revolution and its leaders. Lenin and Trotsky are useful in this regard, even if it is to teach us what to be wary of in the quest for a better future. The most poignant scenes in British history are probably the martyrdom at Tolpuddle, Asquith in tears on the Commons’ floor because of the Great London Transport strikes and the Miners’ strike of 1984. The mark that the defeat of the Miners left upon the Labour movement has not been expunged even after twenty three years. Thatcher’s command of Marxism, inverted but Marxism nonetheless, is what drove my early conviction that Marxism was the correct form of analysis to employ. I’m holding Class War to their promise of a party in Trafalgar Square on the day of her death. From the most tragic of British scenes to the most tragic of Irish. 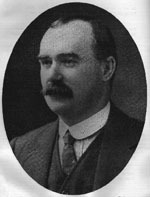 For all his misplaced nationalism, Connolly ranks as one of the foremost martyrs of socialism, beside Salvador Allende, Rosa Luxemburg and the thousands of other unsung but equally executed men and women who believed in something greater. Political Influences Meme Connolly believed that by ridding Ireland of British control, only half the battle would have been fought – and as it turned out he was right. The reactionary elements within the nationalist movement crushed the socialists. The song by Christy Moore about a British soldier who realised what a crime he was committing by shooting Connolly is particularly moving. Debs was an American socialist and I rank him amongst my greatest influences because he rescued me, virtually single-handedly, from a reactionary anti-Americanism under which I laboured for many of my teenage years. Angered at American military brutality, American cultural crassness and armed with knowledge of the history of US imperialism, I used to comment that the world wouldn’t miss two hundred and ninety million Americans. It was a silly sentiment pardonable only because of my youthful unreason. Debs, a study of the vibrancy of American workers’ political movements, and meeting many more American than I previously had helped me to understand that actually America is a beautiful and worthy country cursed by its own history – but that America was not beyond redemption. And there you have it, some of my political influences.